Idea Factory International today announced that Super Neptunia RPG is heading to Nintendo Switch and PlayStation 4 in North America and Europe in Summer 2019 both physically and digitally. 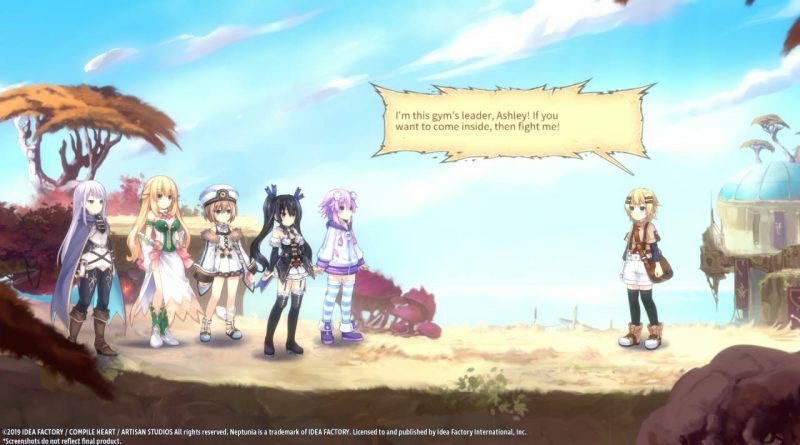 Developed by Artisan Studios in Canada, this game brings the characters of the self-referential Neptunia series to life in a whole new 2D way. Each character was hand-drawn by Tsunako, the artist behind the series, then animated by computer magic to create a world that’s mysteriously gone from three dimensions to two. Explore side-scrolling dungeons and fight in turn-based battles to settle the debate once and for all – which games are better: 2D or 3D! The self-proclaimed hero, Neptune, awakes in a familiar world, but has no recollection of anything other than her name. With the help of a mysterious girl named Chrome, as well as three other familiar faces beloved in the Neptunia series, Neptune embarks on a journey through the mysterious dimension to try to regain her memory. Your favorite Goddesses jump from three dimensions to two! Artisan Studios and Compile Heart proudly present new, vibrant backgrounds and newly developed 2D animations hand drawn in this action-inspired side-scrolling RPG! With Artisan Studios and Tsunako collaborating to create new background and character art, fans and newcomers alike can see Gamindustri in a new 2D perspective. With four Goddesses to rotate on-the-fly during battle, players can change their formation type and unleash devastating attack combos. Depending on which Goddess is leading the pack, players can strategize attacks from four different formations: Strike, Magic, Support and Heal! Strut your stuff and dish out your special Break Attack to ensure victory! Armed with their classic ability to transform, the Goddesses gain additional stat bonuses that enhance their attacks and lay waste to any enemy! Strengthen your Goddesses by utilizing Skills and Abilities that can be unlocked with weapons, armors, or accessories! Strategically assign Skills and rearrange your abilities for each battle.